Tentworld: Get the most out of your ENGEL car fridge. 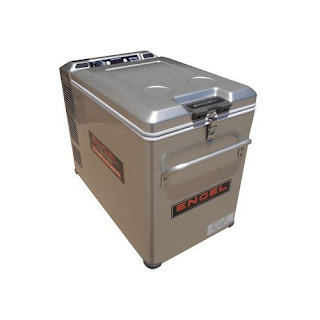 Get the most out of your ENGEL car fridge. One of the most desired accessories to deck out any four wheel drive, is a fridge. In Australia, this is often an ENGEL fridge. They are well proven in Australia and are known to be reliable and consume very little power. The Engel MT45 has been a favourite for decades! 1: Consider a battery dedicated to running your fridge. Adding a dedicated battery to running your fridge, and other camping accessories will mean that you can stay in one place for longer and know that your food will stay cold. 2: Always fill your fridge. If you keep your fridge full, it will operate most efficiently in this way. 3: If you're wanting to stay in one place, and not run your car to charge your battery. You may want to get some alternative method of charging. The two most common methods, are solar power and charging with a generator. 4: Run your ENGEL as a fridge, not a freezer. If you vacuum seal your meat (cyrovac), your meat will last up to 6 weeks without the need for freezing. Running your Engel fridge as a freezer, doubles the power consumption. 5: Use your fridge at home! Many use their fridge for drinks. They are also great to take to a party. Forget the ice, take your fridge! Finally, here are a few tips from Ernie Dingo himself, enjoy!